Our mission is to work together with families to prepare preschoolers of ALL abilities for success in kindergarten and beyond. Working together with families means that first, we are dedicated to listening to families as they share important insights about their child AND our program. We value that input! It guides what we do and helps us work as a team. Because of input from families, we now schedule regular meetings with ALL families during the year. We routinely share EEP curriculum theme goals, activities, and teaching strategies with families via our newsletter The EEP Family Connect, as well as individual classroom newsletters. We are just beginning to add social media and blog posts for sharing information and are excited about the possibilities! We hope you’ll get involved in these and share what you think! With the involvement of families, our EEP classrooms are wonderful places to focus on preparing preschoolers of ALL abilities for success in kindergarten and beyond. In them, we work hard to assure that EVERY child is happy and engaged from day one. We focus on goals that will make a difference in each child’s life. We teach children to communicate more effectively to get their needs met and understand concepts and vocabulary that they’ll need later in kindergarten. In addition, we focus on helping children learn to delay gratification, understand their feelings, and deal empathetically in play with their peers and respectfully in interactions with their teachers. We use a combination of teaching strategies that are engaging and help children learn more effectively, efficiently, and feel proud! Finally, we evaluate how we and the children are doing and revise our teaching based on that. These make for greater success in kindergarten and beyond! The Early Education Program (EEP) began in 1981 with eight children and three teachers as part of a private nonprofit, the Association for Direct Instruction (ADI). ADI was created to promote a set of evidence-based teaching strategies called “Direct Instruction.” These strategies were key at the preschool. By 1991 however, EEP had expanded and included both children with diverse needs as well as those who were developing typically. Additional teaching strategies were required. In June of 1991 we separated from ADI and created our own non-profit, the Early Education Program, Inc. The new EEP Inc., now with a variety of evidence-based teaching practices, became a subcontractor for Early Childhood CARES. We are currently their largest subcontractor; this year we will serve nearly 200 children/families, and employ more than 55 staff in our 19 half-day programs. 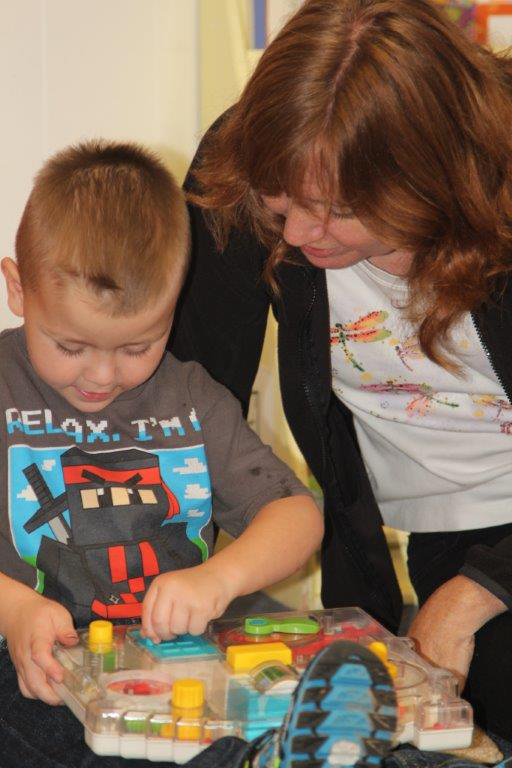 The Early Education Program is free for children with developmental delays. Funding for these children comes from a mix of Oregon Department of Education and federal funds. These are administered by Early Childhood CARES, with whom we have a contract. This year we will serve up to 165 children with disabilities. Children who are typically-developing also attend EEP. Their families pay a small tuition, and full and partial scholarships are sometimes available. Funding for typically developing children is never adequate so we rely on donations to make ends meet. Though EEP’s administrative costs are surprisingly low, our direct program costs impose severe limits on what we can do with children/families. We RELY on additional funding from grants, private donations, fundraising events, and YOU to make the difference we can only hope for.